The art of preparing medications dates back to the origins of pharmacy. At Homer Drug we still practice the time proven art of medication compounding using modern variations of the "mortar and pestle" to prepare unique and individualized medications. Working with your doctor, compounding allows our pharmacists to customize the strength and dosage form of a medication according to individual needs. This may include making lozenges or preparing a drug that is no longer commercially available. Or it may involve changing a medication from a pill form into a penetrating skin cream, or adding flavors, or preparing a dye-free or preservative-free medication. The possibilities are endless. 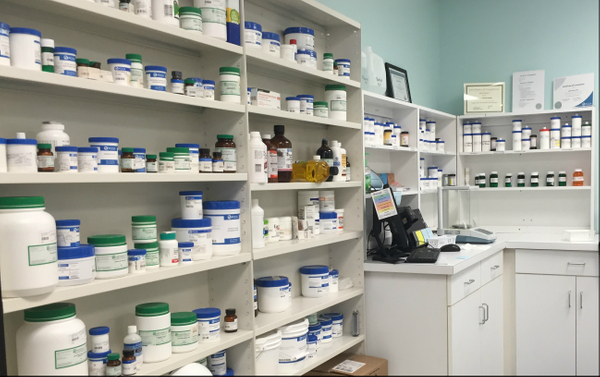 Pharmacist Kim Bost can formulate and prepare almost any kind of medicine specifically designed just for you. Our compounding services can enhance virtually any area of medicine.